Since 1956, the Vigyan Bhawan and Ashok Hotel have hosted almost all international conferences and visiting heads of states. The forthcoming ASEAN summit will mark the end of an era for two iconic buildings of the capital, that have so far hosted big-ticket international summits like Commonwealth Heads of Government Meeting and the seventh Non-Aligned Movement in 1983. Since 1956, when both Vigyan Bhawan and Ashok Hotel came up, almost all international conferences have taken place at Vigyan Bhawan, and visiting heads of states have stayed at the gigantic Ashok Hotel (renamed The Ashok since 2006). But now, neither of them will have any role in the upcoming ASEAN summit, that will see ten heads of the state visit our capital for a couple of days. 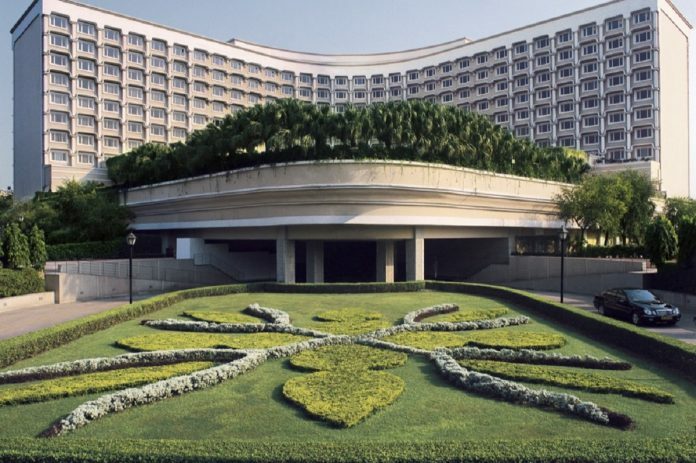 While the summit will be held at the Taj Palace Hotel on Sardar Patel Marg, the heads of the state of the ASEAN nations will stay in five-star hotels on Sardar Patel Marg and Man Singh Road. There is an interesting story about the construction of both these iconic buildings, almost simultaneously. Former Prime Minister Jawaharlal Nehru was attending the UNESCO summit in Paris in 1955. There, he informed that the governing body of the summit, that India would like to host the meet in New Delhi in 1956. The offer was accepted. When Nehru returned from Paris, his advisors told him that New Delhi has no hall to host such a big meet, and hardly any hotels to accommodate the global leaders. Stunned, he asked his staff to identify vacant spaces for a new hall and hotel immediately in New Delhi. He also asked them to identify two eminent designers. E.B. Doctor, a professor at the JJ College of Architecture, Mumbai, and R.A. Gehlote were picked to design Ashok Hotel and the Vigyan Bhawan respectively. Gehlote was a noted designer, and worked for the Central Public Works Department. He incorporated elements of the British Raj and Hindu architectural styles as well as Buddhist and Mughal architecture for Vigyan Bhawan. The latter was built at the same place Maulana Azad used to live when he was the education minister. After his demise, the bungalow at 4, Edward Road (now Maulana Azad Road) was demolished to make way for Vigyan Bhawan. These were arguably the first two major buildings that came up in the capital after Independence. It was a challenge for Doctor to create the hotel on the 25 acres of space allotted. Those were the days when the entire Chanakyapuri area was a jungle with thick bushes. But the Parsi architect created a masterpiece in a very short time. Impressed with the work of the likes of Edwin Lutyens and Herbert Baker, Doctor made prominent jharokhas and jaali-work at Ashok Hotel. Doctor also created a massive pillar-less convention hall, 550 guest rooms and landscaped gardens in the hotel. Nehru used to closely watch the construction process. He personally suggested plants, flowers and trees that should be planted at the site to Doctor. On his recommendation, some mango trees were also planted there, though trees of gulmohar were there in abundance. What is also surprising is that despite designing the wonderful buildings, neither Doctor nor Gehlote got another chance to design any other buildings in the national capital. Prior to Ashok Hotel, the capital had The Imperial, Janpath, and Hotel Oberoi Maidens on Alipore Road. But once Ashok Hotel came up, it became the preferred place for hosting Presidents, Prime Ministers and even revolutionaries. On his only trip to Delhi in 1959, Che Guevara was a guest at the Ashok Hotel. Despite several attempts, nobody at the hotel would reveal the exact room in which he was staying. Cuban president Fidel Castro too stayed there in 1983. It is said that when Castro was there, security personnel had three Castro lookalikes at the hotel to confuse potential attackers. The burly Prabhakaran of the Tamil Tigers in Sri Lanka stayed here in 1980s. In the 1970s, Dhirubhai Ambani used to stay at the hotel, and would always ensure he got a room facing the lush green Nehru Park. Those were the early days of his mind-boggling journey in the world of business. It is a different matter that his family now has a major share in the Oberoi hotels too. For the upcoming ASEAN summit, what is really intriguing is that even the business meetings related to the summit are not taking place in Vigyan Bhawan. Instead, they will be held in Hotel Lalit. There is no buzz of activity and anticipation in the air in the two erstwhile bastions of international summits. Vivek Shukla is the former editor of Somaiya Publications. Excellent article on 2 landmarks we used to see so often without realising that there are such a lot of really interesting facts about them unknown to us. Thank u Vivek for the painstaking research you have put in to make for a really riveting article. Absolutely brilliant piece. Very informative. Never knew about the background of these buildings. What is the Print?